Fallen in love over pastry? 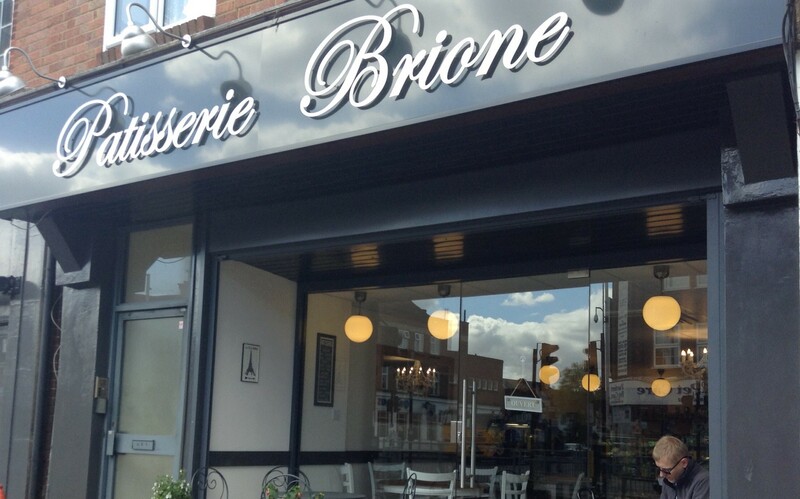 Delphine and Dom did and Patisserie Brione was created. Are we in a smart suburb of Paris? No – even better, we are in Eastcote, Greater London, an outer suburb on the Piccadilly Line. I was delighted to discover this gem so close to my home and find out about the story behind its creation. Delphine, former Head Sommelier at The Ritz met Dom, an artisan pâtissier and baker who started, aged 14, to learn his craft in Normandy. They met in a cafe in London, fell in love, married and opened Patisserie Brione, two and half years ago. 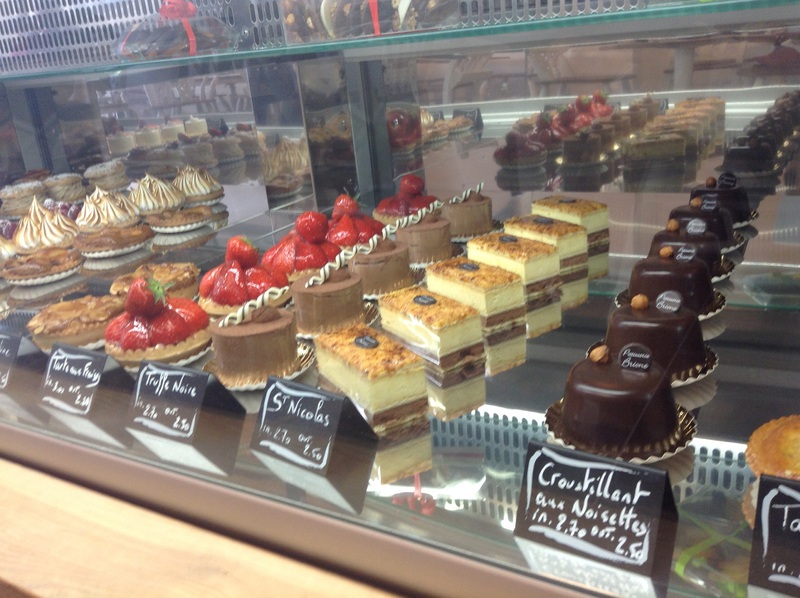 When it comes to their patisserie, Delphine and Dom do it so well. Moving next door into bigger premises only last week, the decor reflects their French roots, but it’s the patisserie that takes centre stage, beautifully displayed. 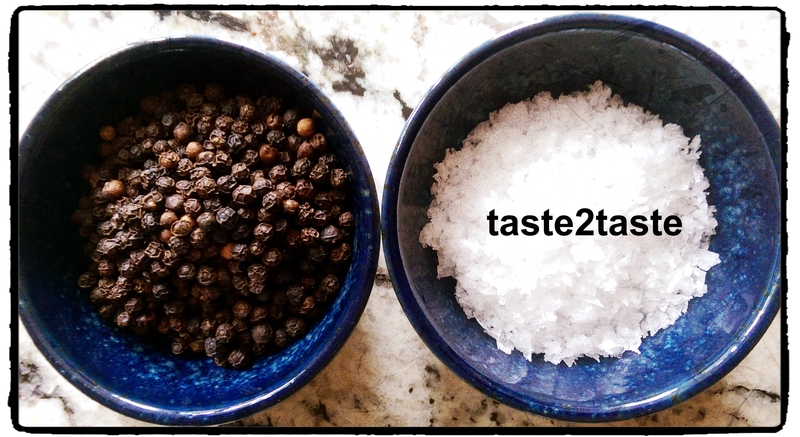 How do they taste? Tres bien! Tarte aux poires, buttery base with sumptuous layers of pear, covering a light creamy centre glazed on top. Croissants, golden brown, big and beautiful yet light and flaky as you bite into layer after layer. 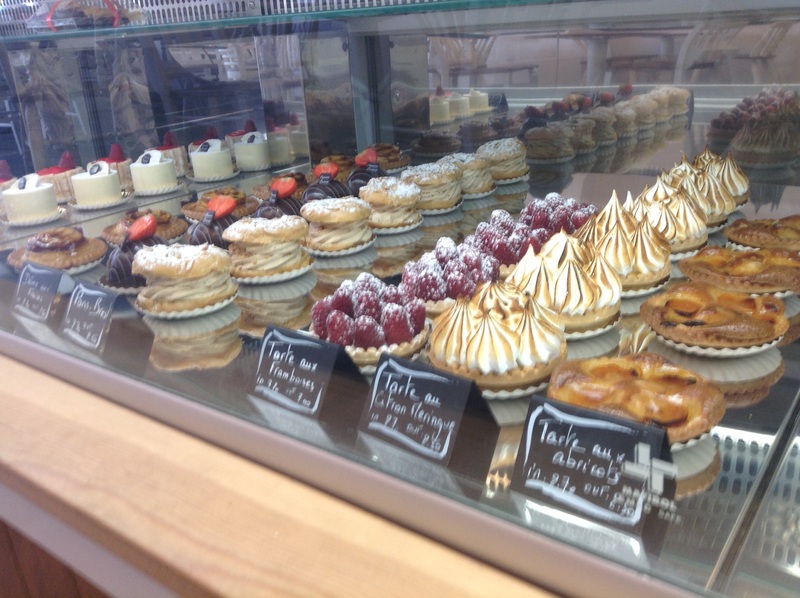 I will be back to Patisserie Brione, with its relaxed ambience, wonderful customer service… an ideal place to write my blogs for taste2taste.com. 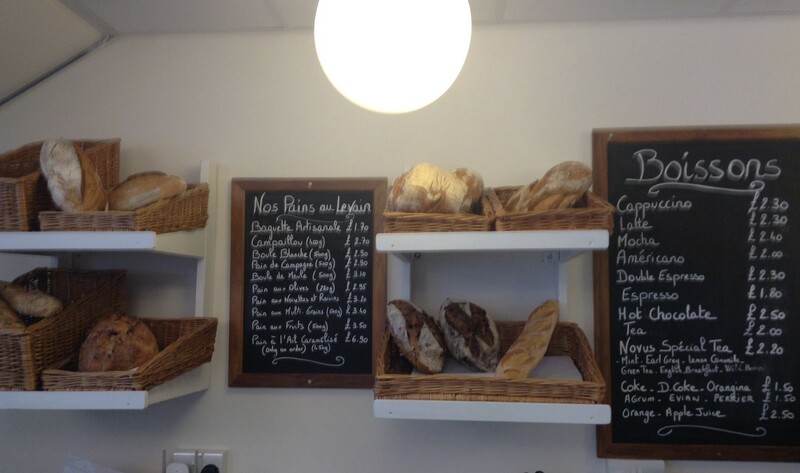 Patisserie Brione… lovin’it in suburban London. get many visits. I know how to get laser targeted traffic from the largest traffic sources in the internet and make your website go viral.